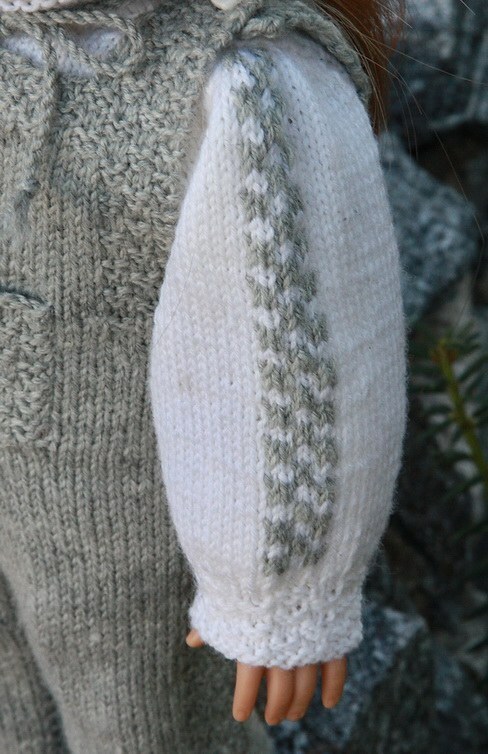 Find your knitting needles and yarn and get started! 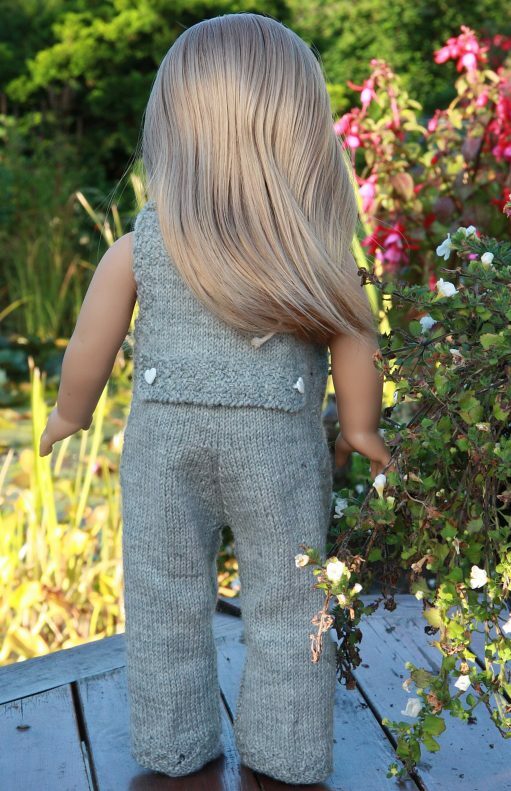 This time my girls wanted to have some clothes for their dolls that is suited for leisure and play. 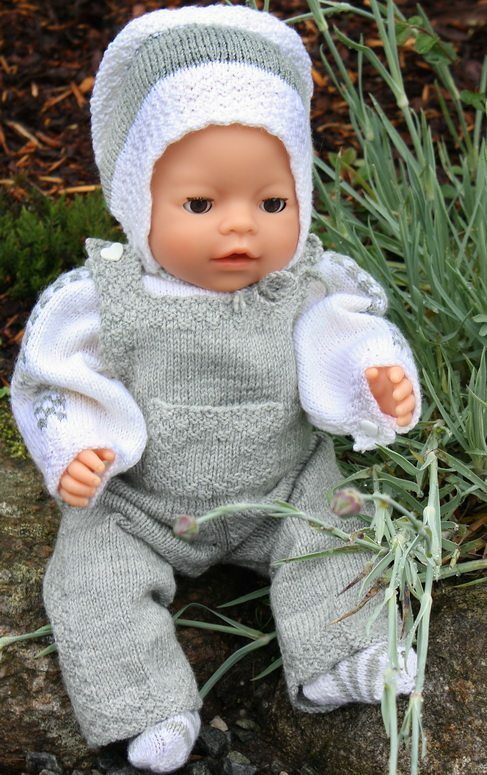 So I knitted a set of doll clothes that I think would fit to that. 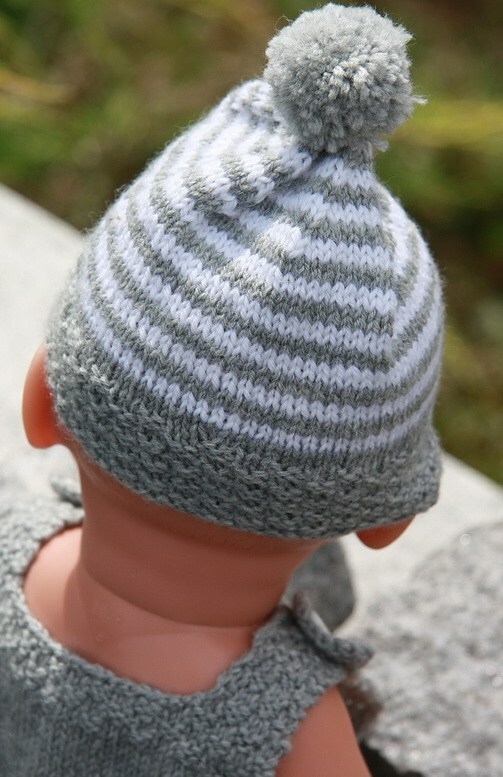 Grey and white is always neatly. 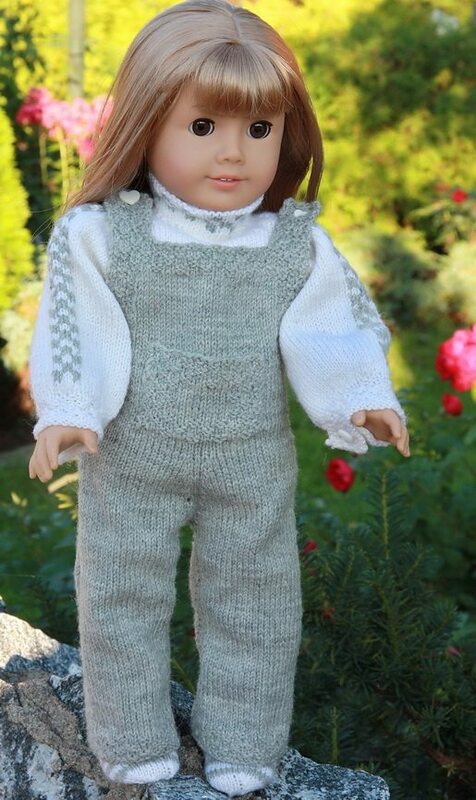 Here, the doll had a nice overall with a large pocket on the stomach. 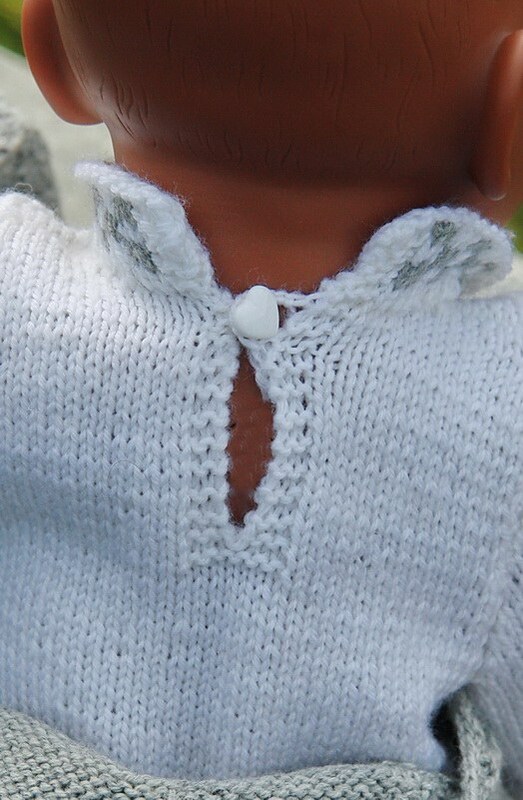 Sweater is knitted in white and has a small pattern along the arms and neck in the same color as the overall. 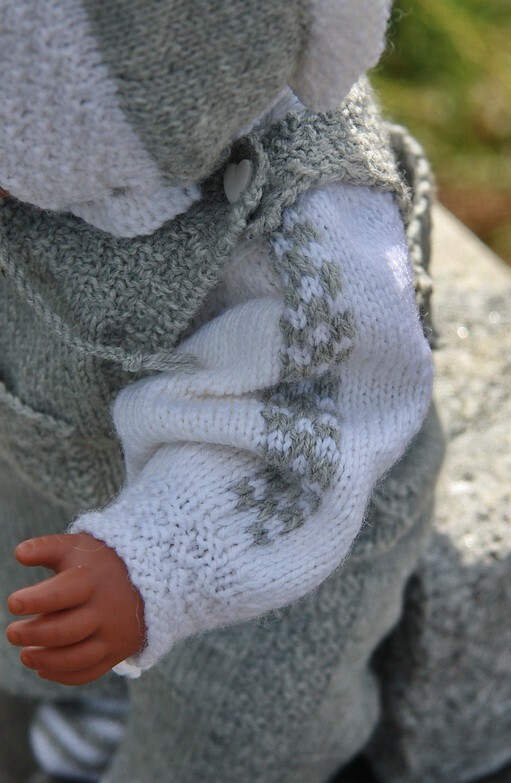 The bonnet for the doll LENE is pretty cute with the white edge around the back of the head. 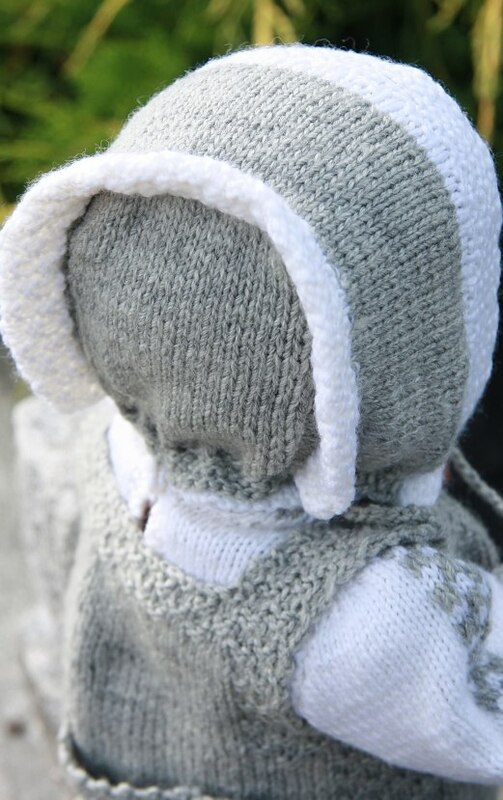 These are bonnets that were knitted for the babies when I was a little girl, and I've always liked them very much. 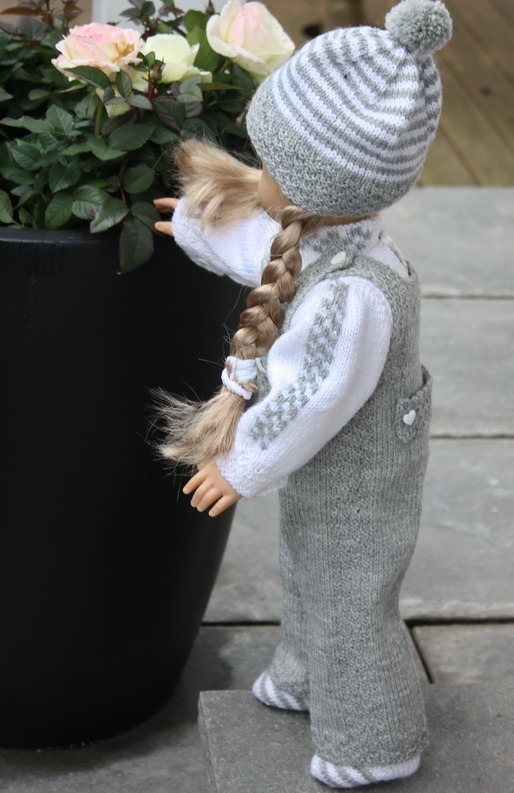 The doll Lars has got a hat with a large tassel that is warm and good for the cold days. 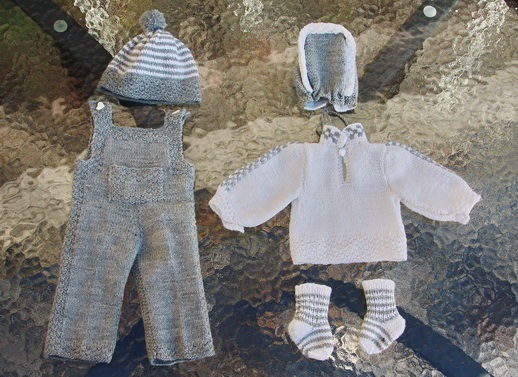 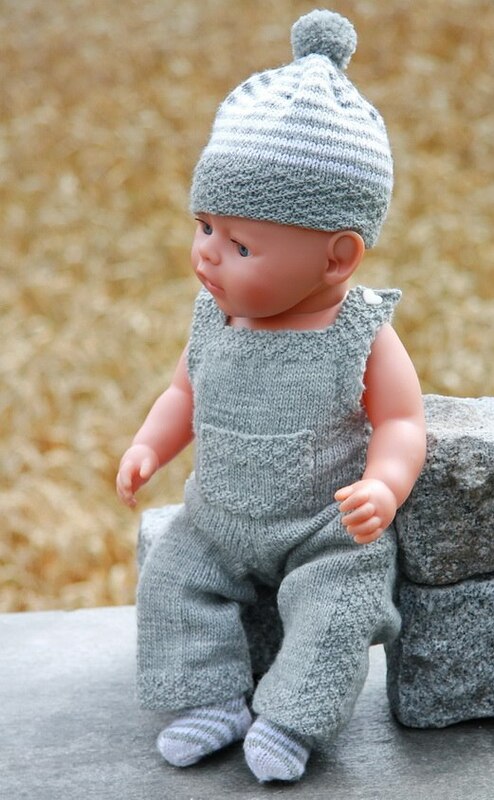 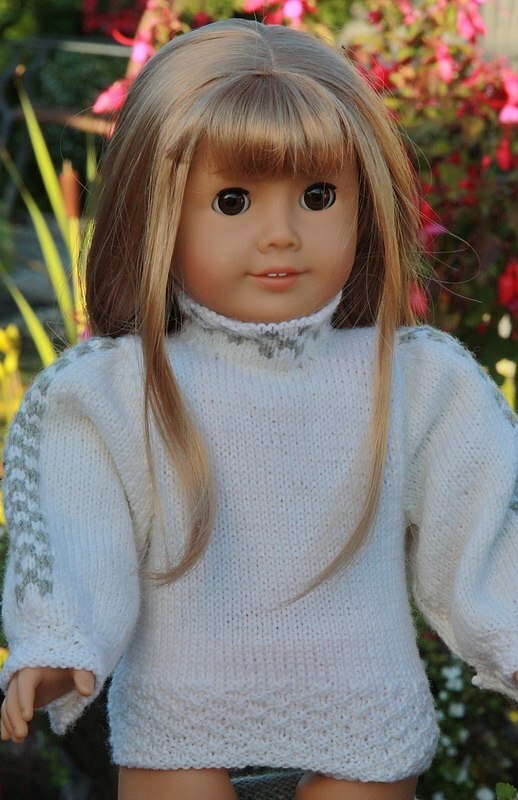 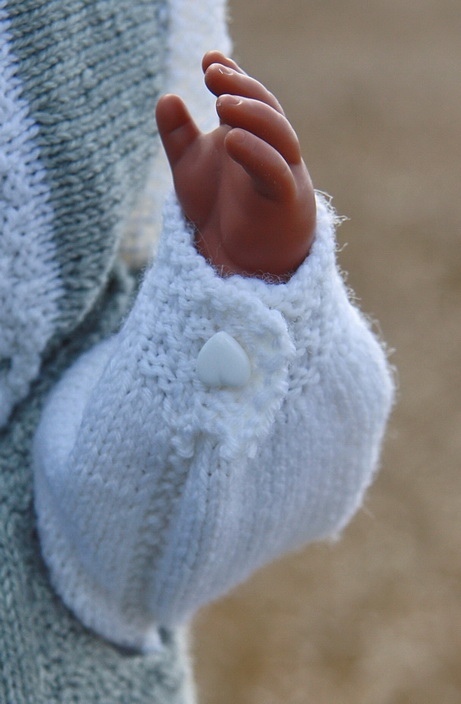 So find yarn and needles and spend some nice hours knitting these clothes for your little doll! 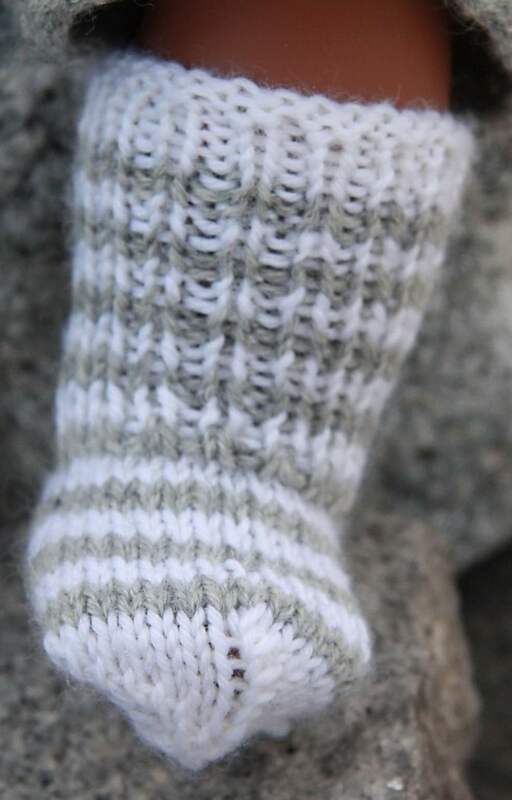 I think this is fun.